Who says you have to wear a scarf around your neck? The woman was elegantly dressed with a silk scarf draped around her neck. It was cold outside, so the parents scarfed and gloved their children. The carpenter scarfed the two pieces of timber. Eugene scarfed down the food as though he hadn't eaten for a week. The whaler cut a scarf along the whale's body. The sailor scarfed the whale. Scarves are often worn by adherents of certain religions. Today, we probably most readily think of the Muslim hijab, worn by some Muslim women to cover their heads. However, in the early Christian church, women also used to wear scarves to cover their heads and until the mid-twentieth century it was common practice for women to cover their heads in Christian churches. It is still a requirement for women to cover their heads in church in some Eastern Catholic, Eastern Orthodox, and Oriental Orthodox Churches. Christian priests also wear a long band of cloth, like a scarf, but called a stole, draped over their shoulders. 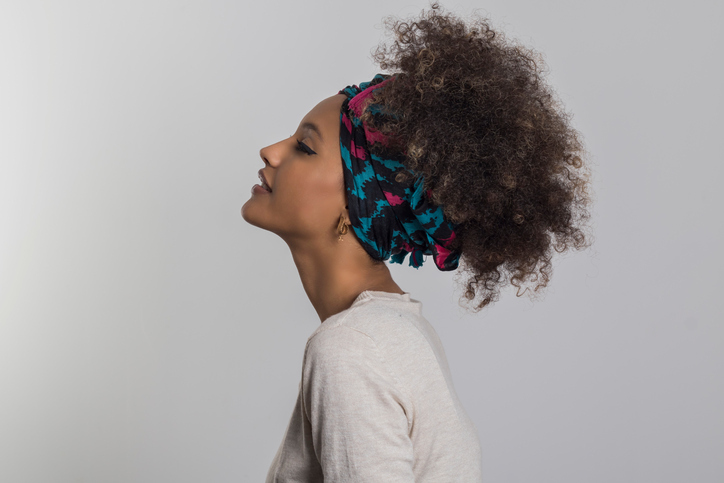 In Judaism, it is customary (especially in orthodox communities) for married women to cover their hair whenever they are in public, though many use a wig instead of a scarf. The most common meaning of scarf today dates back to the mid-16th century, when a scarf was ‘a strip of cloth worn across the body or over the shoulders,’ or simply ‘a band of silk or strip of cloth.’ Its origin is uncertain; some linguists think it may be a figurative use of the older sense of scarf (below), but most linguists think it came from the Old North French escarpe (sash or sling), from the Old French escherpe (a pilgrim’s purse, suspended from the neck). There’s also disagreement about how it came into French. Some believe it came from the Frankish skirpja or another Germanic source, making it related to the Old Norse skreppa (a small bag or satchel). Others think it came from the Medieval Latin scirpa (bag woven from rushes), from the Latin scirpus (rush or bulrush). The meaning ‘cold weather covering for the neck’ first appeared in the mid-19th century. Scarf, meaning ‘a connecting joint’ dates back to the late 13th century. It came into English from a Scandinavian source, and can be traced back to the Proto-Germanic skarfaz and the Proto-Indo-European root sker- (to cut). It is related to the Old Norse skarfr (‘a nail for fastening a joint,’ ‘a diagonally cut end of a board’), the Swedish skarf, the Norwegian skarv and the Dutch scherf, as well as the French écart and the Spanish escarba, both of which probably also borrowed the term from the same source. This meaning of the noun produced a verb, ‘to fit pieces of wood or metal together,’ which dates back to the mid-15th century. The meaning related to whaling may have come from either of the previous meanings, and is used as both a verb and a noun. Finally, the other verb meaning of scarf, ‘to eat or drink voraciously,’ dates back to 1960s US slang. It’s thought that it may be a variation of scoff, with the same meaning, which has been around since the mid-19th century, though both forms may also be dialectal remnants from the Old English verb sceorfan (to gnaw or bite).